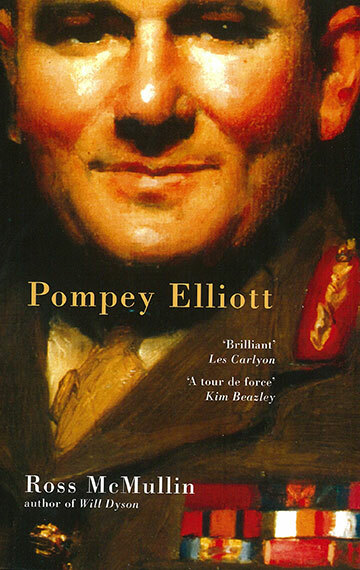 Pompey Elliott is a comprehensive award-winning biography of Australia’s most famous fighting general in World War I. A charismatic, controversial and outstandingly successful commander, Pompey Elliott was an accomplished tactician, exceptionally brave and renowned for never sending anywhere he was not prepared to go himself. He was also forthright and volatile — his tempestuousness generated a host of anecdotes that amused his men and disconcerted his superiors. No Australian general was more revered by those he led or more famous outside his own command. Pompey Elliott won awards for biography and literature. This is the most detailed study that I have ever read of a brigade commander in World War I. Having walked the ground of the 5th Division attack at Polygon Wood, I found McMullin’s account made me appreciate the brilliance of what Elliott and his COs achieved. 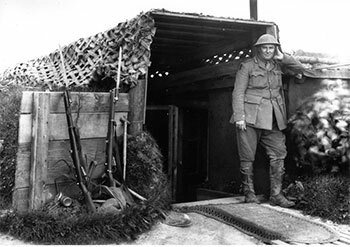 Elliott would do it again during the German March offensive of 1918 and in the attack on Villers-Bretonneux in April 1918, one of the outstanding events in Australian military history. McMullin’s biography of Pompey Elliott is a major step in Australian military historiography … This is a biography that has been written by an author who knows how to write and structure a gripping yarn. Elliott is deservedly a figure of legend, but now, thanks to McMullin, we see his greatness as a man in the context of Australian achievement in World War I. He is tough and tender, cocksure and vulnerable, charismatic and cranky, a burly and ruddy-cheeked man who, once seen, is not to be forgotten … Here is a fine piece of storytelling, a journey back to an Australia that is long gone. Here is a narrative that never stalls but carries us along like a river heading for the sea. Here is Pompey Elliott, bursting out of the page, larger than life and worn down by life. Fierce discipline often earned for a commander the hatred of his troops. But in Pompey’s case they had to ask themselves: What other formation goes in to battle with such careful plans to avoid casualties and to save lives? What other commander so strongly resists foolish orders from higher up? And (perhaps most tellingly of all) what other troops around here are getting hot meals every day? At Gallipoli and in France not one senior officer so commanded the respect and affection of his men. And probably no soldier at the front wrote so tenderly and often to his wife and his adored children … Australians who don’t read this book are short-changing themselves. May be the best Australian military biography yet to appear. By 1918 Australia was playing for the first and only time in its history a world historical role … [Pompey] understood the historical significance of those events. Why? Because he had been near the heart of all of them … When I finished this book I said to my wife ‘I don’t want it to end’ … Australian military history will be different as a result of the publication of this truly excellent biography … an absolute historical tour de force. The last great untold Australian story of the First World War. The standard of entries was high this year, with a few really outstanding books. The epic scale of Ross McMullin’s biography of famed Australian soldier ‘Pompey’ Elliott befits the importance of Elliott as a soldier and as a man whose personal life was shaped by seminal Australian events: gold, Gallipoli and the Great Depression. This is great Australian biography, deftly combining monumental research with a writerly flair in which the facts appear to speak for themselves in a pacy narrative. A great yarn and a most worthy winner. Pompey Elliott is a large book, and rightly. It encompasses a period and individuals of more than mere military significance … The assiduous McMullin has scored several scoops, including the revelation that Elliott argued successfully against an appallingly misconceived advance on St Denis Wood shortly after the battle of Mont St Quentin in September 1918 — in the lives preserved, an achievement as considerable as any great battlefield coup. Pompey also presents many appealing personal cameos of Elliott. Impossibly brave, not to say reckless, his letters home were strewn with heartbroken lamentations of ‘my poor boys’, and tender passages explaining to his children both war (‘we … caught thousands and thousands of the Kaiser’s naughty soldier men’) and its privations (‘Dida’s soldiers get so dreadfully tired they can hardly work or walk at all. Isn’t that old Kaiser a naughty old man to cause all this trouble?’) … Elliott is fascinating. It is one of those richly researched books which retrieves an important Australian from undeserved neglect, and at the same time provides some fresh assessments of Australia at war and during the 1920s … Ross McMullin has resurrected a national treasure. 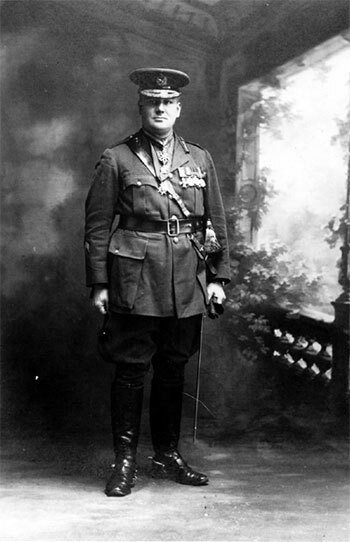 For a man with an intemperate manner and overbearing demeanour, Elliott was an extraordinarily capable leader, loved long after the war by thousands of men who had seen their mates killed on his orders … As portrayed by McMullin, Elliott was a model brigade commander and an Australian hero, egalitarian, innovative, loyal and intensely patriotic. But in the ways of real heroes, he was also an enormously complex man … His wartime heroism, physical, moral and psychological, [and] his undoubted ability to inspire respect, even love, among his men does not disguise his black-hearted reaction and his obsession with protecting his reputation … Elliott was not just a brave field commander; he was a military innovator. This book opened up so much more than Pompey’s life to me. Being a child of parents and grandparents deeply affected by the holocaust and World War II, I have only ever immersed myself in that literature. I’ve been an anti-war campaigner, an active ignorer of Anzac Day, a cynic about jingoism, and an ignoramus about Australian history. However, Ross McMullin’s biography converted me into someone totally gripped by a military tale full of intrigue, politics, love, comradeship, and what it is to be a man, a soldier and an Australian. It is admirably structured and written, and there’s no shirking from Pompey’s dark side, so we are left with a deep appreciation of his emotional, physical and intellectual strengths even though there were challenges to all three. This is a man who has emotions, and plenty of them; but does that make him less of a man capable of greater responsibility? I’m sure those he led would think not. 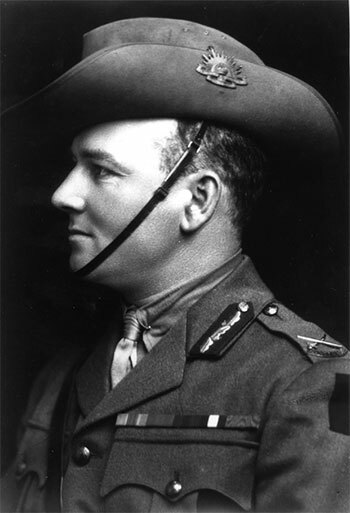 Pompey Elliott has claims to being Australia’s greatest general. This engrossing biography of an important but neglected Australian ranks alongside Geoffrey Serle’s landmark study of John Monash. We were unanimous in our decision to give the award to Ross McMullin for Pompey Elliott. We found this biography to be a work of awesome proportion, thoroughly researched and faultlessly written. Pompey Elliott is the best, most readable, most informative and enthralling war book I have ever read. I read a lot of war books. … I cried, laughed and chuckled regarding Pompey’s quirks etc, and also the tragedy involving many of the 7th Battalion boys. It was a famous battalion. I feel proud to have had a father who served under this magnificent soldier. I have read the book twice. I am on my third read and digesting every word. The book completely captures the personality of this great soldier. Dad, as all the 7th, always talked about Pompey and his exploits. 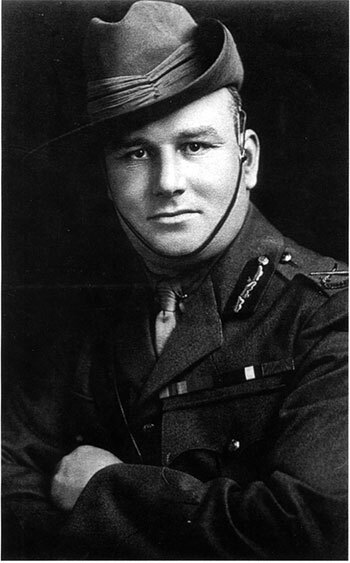 No one would dispute that the counter-attacks at Villers-Bretonneux were among the AIF’s most impressive feats … And few would doubt that the episode’s principal architect, Brigadier-General Harold ‘Pompey’ Elliott, was Australia’s greatest fighting soldier of the war. I cannot remember a book which I enjoyed more. I particularly appreciated the very clear exposition of the various battles in which Pompey and the AIF fought … It should be compulsory reading for anyone interested in Australia’s military heritage. I was utterly engrossed from beginning to end, not just by the story and its subject, but by Ross McMullin’s magical writing. In fact I can only think of one or two other biographies I have read over my lifetime that have been so totally absorbing. His vivid, thorough biography is the first full account of Elliott’s life — surprising, given Pompey’s eminence, popularity and personality. McMullin takes the opportunity to reappraise events and people, to weigh Elliott’s career and to seek an answer to the question that consumed him: given his achievements, was he treated unjustly? … A powerful portrait emerges from McMullin’s prodigious research, which included interviews with Pompey’s ‘boys’. He is good at teasing out intrigues at the top and at postwar manoeuvres to gain the high ground in official accounts. The biography emphasises what all concede: that Elliott was a masterly tactician and an outstanding commander on and off the field … Elliott’s story — the great-hearted captain broken by life’s blows — is a tragedy of Shakespearean dimensions, and our history is the richer for McMullin’s telling of it. McMullin presents a picture of a fearless individual, an Australian nationalist and a soldier’s soldier whose lack of tact undoubtedly stalled his rise through the military ranks … McMullin presents the case for Elliott … but he is by no means blind to the flaws in his subject’s clay. The intimate bonds between Elliott and his men are one of the main themes of this book; a weeping Elliott in the aftermath of the appalling Battle of Fromelles is, for me, the most memorable image from almost 700 pages of text. Ross McMullin’s Pompey Elliott appeared first in 2002, to such acclaim that fresh printings were required again in that year, and then in 2006, 2007 and 2008 … This life of achievement, colour, celebrity and tragedy has been wonderfully re-created by McMullin, whose insight also sets the life into the wider history of its times.